Cleaning the exterior of your home will not only bring out the beauty in your biggest investment but it will also increase your property’s value. We recommend power washing the exterior of your home once per year to keep algae and other contaminants at a minimal. 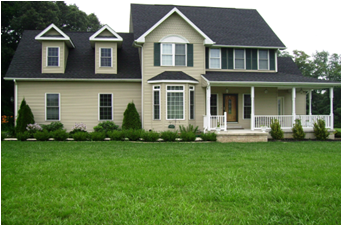 We specialize in soft exterior house washing. Our equipment is the BEST IN THE INDUSTRY. This allows us to power wash homes using a very high water volume (nearly 8 gallons per minute) at low pressure, and our custom blend of detergents to restore your home to its pristine appearance. We guarantee complete removal of algae, mold, and mildew stains; 100% Satisfaction guarantee! We specialize in soft washing your gutters by hand. We use the best commercial gutter cleaning chemical on the market. 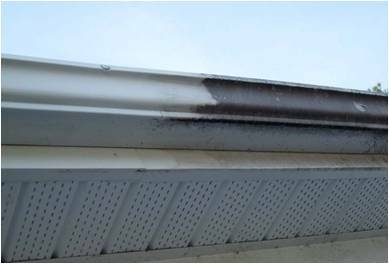 This removes black oxidation stains called “Tiger Stripes” and leaves gutters looking as if they just had a fresh coat of paint. Our gutter whitening service is included with every house wash purchase. For Soft House Washing FAQs, click here.